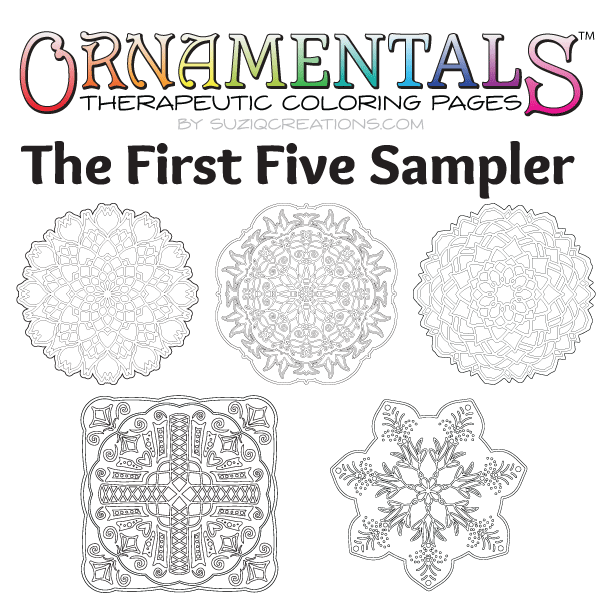 This sampler includes the first five OrnaMENTALs designs in a single PDF file. 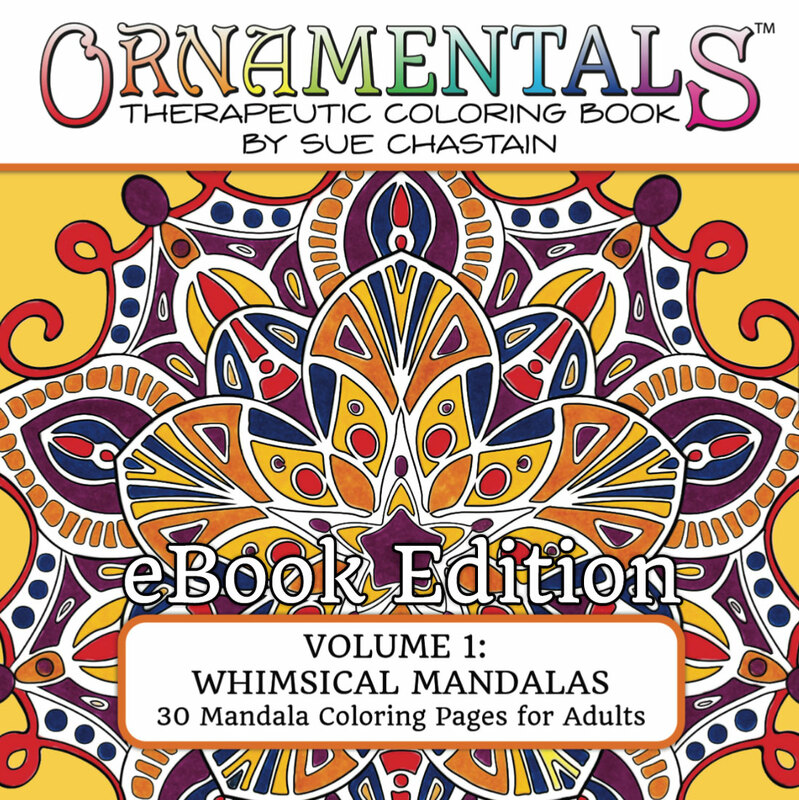 Two of these designs are included in my first coloring book OrnaMENTALs Whimsical Mandalas so you can sample the style of coloring pages in that book. 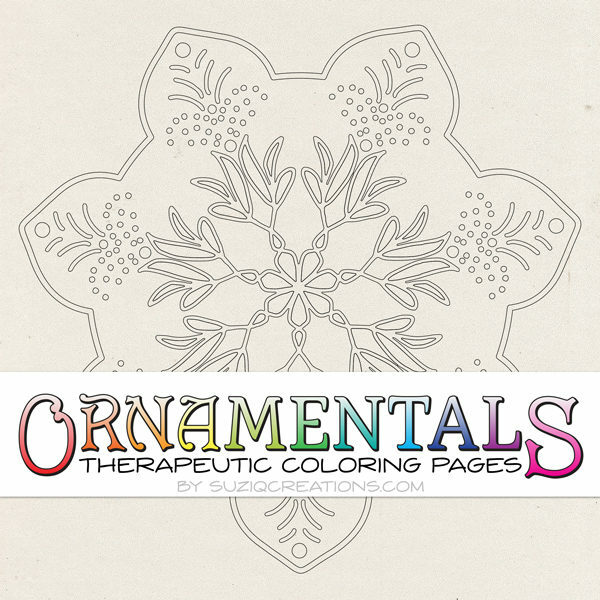 Enjoy expressing yourself by adding color to this five pack of coloring pages! 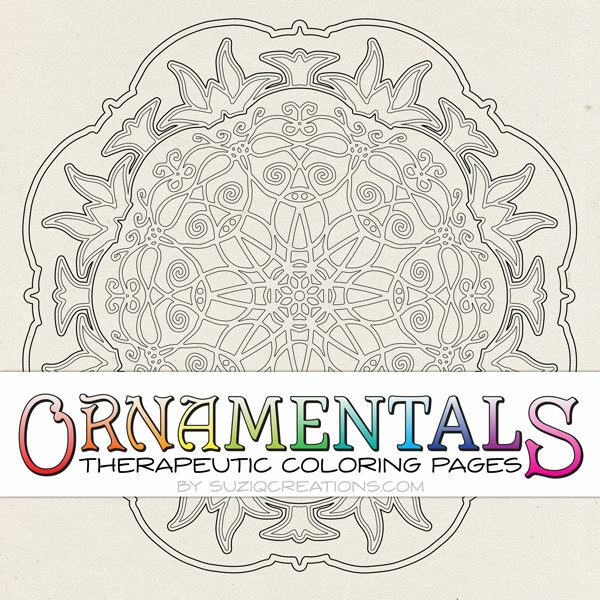 OrnaMENTALs™ are therapeutic coloring pages for adults and kids of ages 5 to 105! 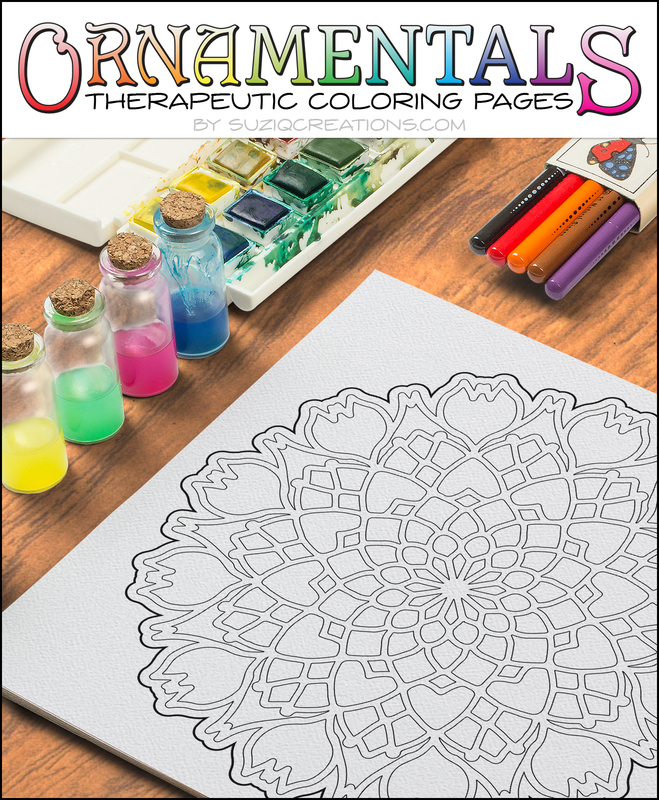 Break out your markers, colored pencils, paints, or crayons… shut out the world and partake in some relaxing and stress-relieving art therapy with these one-of-kind line pattern coloring pages. 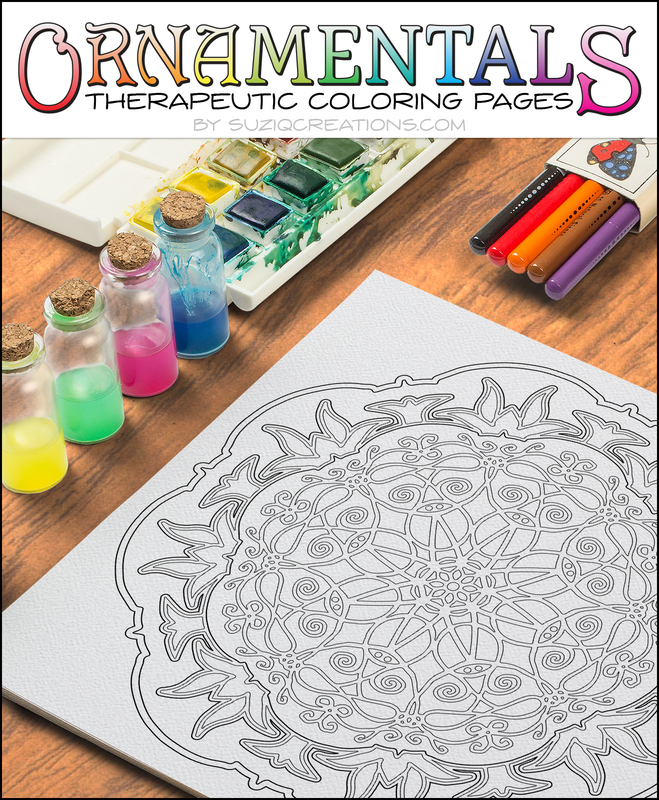 The OrnaMENTALs First Five Designs PDF lets you sample OrnaMENTALs coloring pages, including 2 from the first OrnaMENTALs coloring book, Whimsical Mandalas. 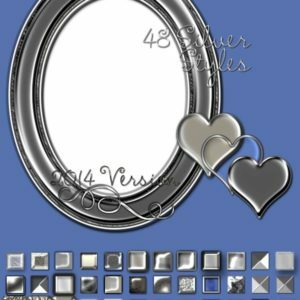 #0001 Heart and Tulip – The Heart and Tulip coloring page design is a radiant circular pattern of flower petals. Hidden within the petal design you will find some hearts and a border of tulips along the outer edge of the blossoming floral design. 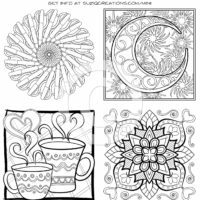 #0002 Blossom – The Blossom coloring page design is a circular pattern of radiating flower petals with interlocking outlines. Have fun coloring this unique flower blossom design! #0003 Lotus and Ladybug – The Lotus and Ladybug coloring page design is a radiant circular pattern of decorative lines, swirls, loops, and curls. Hidden within the center portion of the decorative design you will find some ladybugs. The outer border consists of a stylized lotus motif. #0004 Bursting Forth – The Bursting Forth coloring page design is a snowflake-like pattern of stylized leaves and floral motifs. The seven segments of the snowflake shape combine with floral elements to commemorate spring time bursting forth. 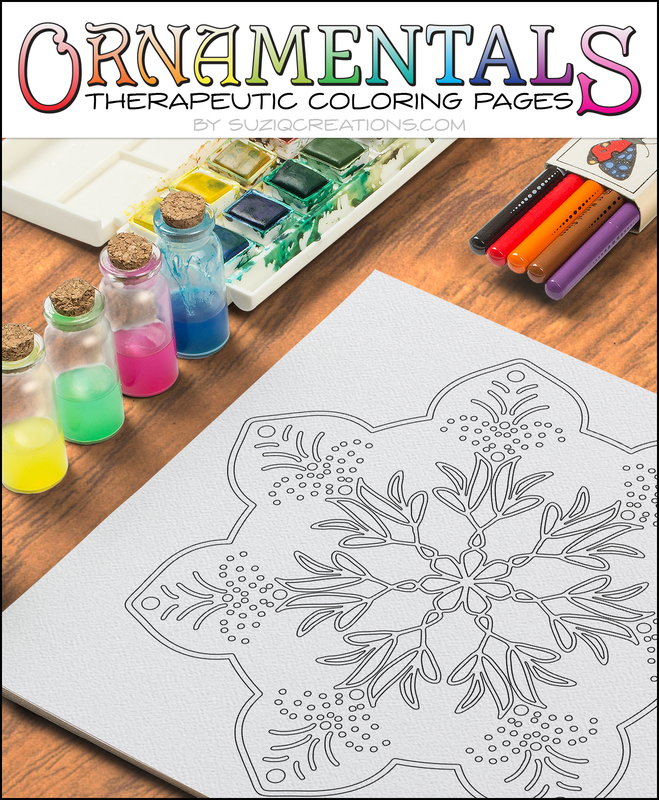 This design is in the book OrnaMENTALs Whimsical Mandalas. 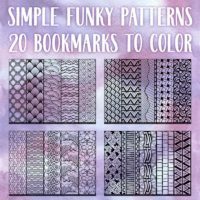 #0005 Crisscross – The Crisscross coloring page design is a square symmetrical rosette pattern with a large crisscrossed cross design in the center, surrounded by various shapes including hearts, fleur de lis, dots, and swirls. The design is bordered by a rosette circle and outer square with more fleur de lis swirls in the four corners. 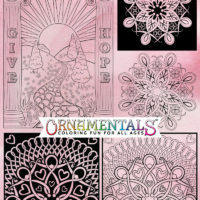 This design is in the book OrnaMENTALs Whimsical Mandalas. 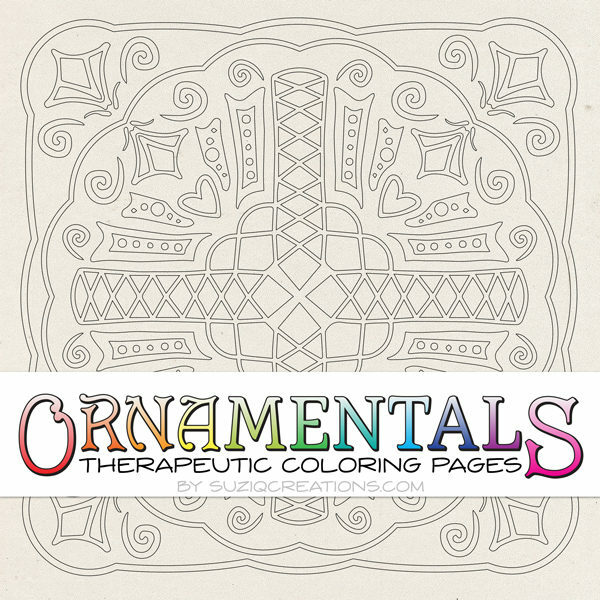 Enjoy expressing yourself by adding color to this five pack of coloring pages! 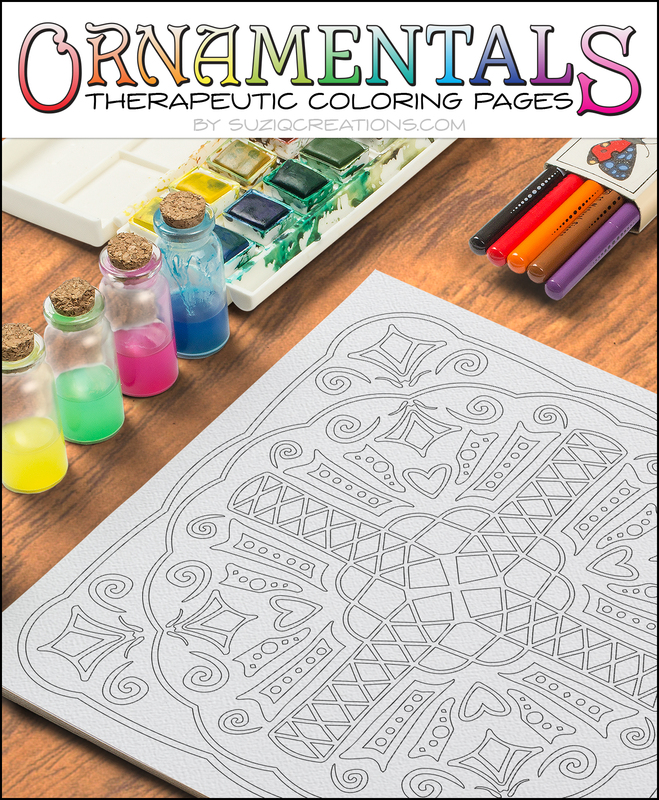 The downloaded coloring page will be a clean image without the banner and textured background as shown here. 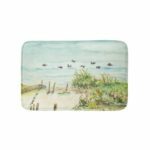 Note: This is a digital download–no physical product will be sent to you. 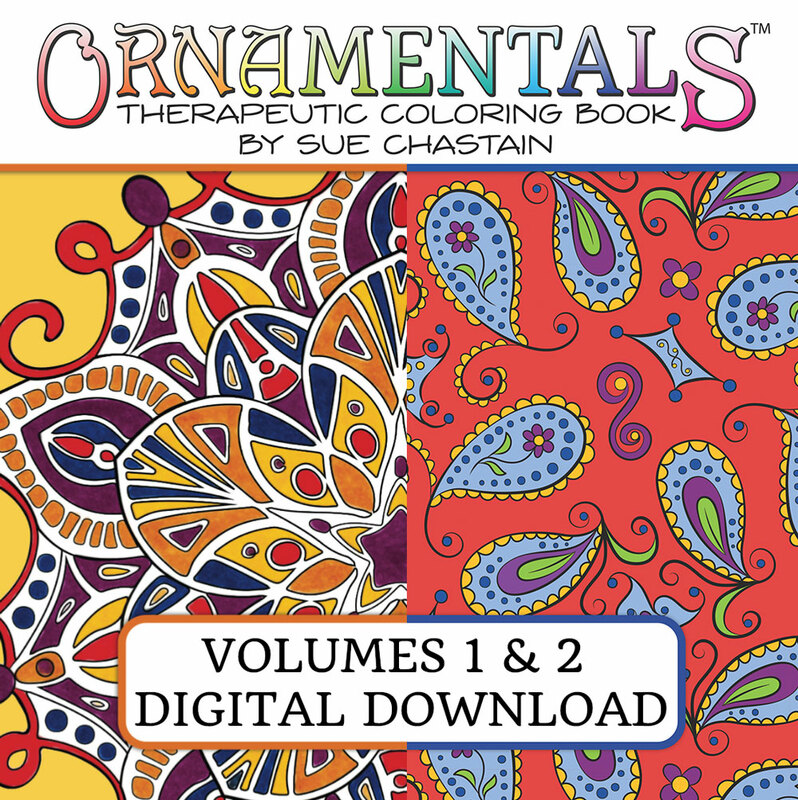 When you sign up for the newsletter or purchase this coloring page you will receive a link for one digital download file in printable PDF format. 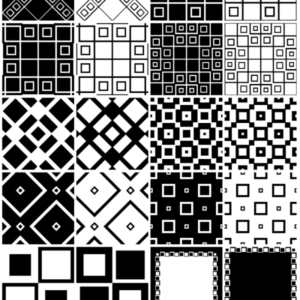 The downloaded PDF contains an introduction page plus five coloring pages of clean black and white images without the banner and textured background as shown here. The design title appears in outline text at the top of each page, which you can color or cut off after printing. 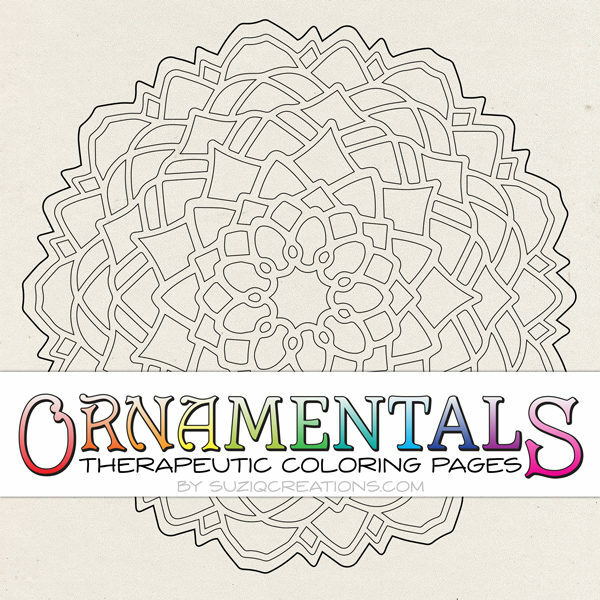 The coloring pages can be printed multiple times and enjoyed countless times for your personal and non-profit use! OrnaMENTALs are drawn by hand and then digitally enhanced as scale-able vector art for crisp and sharp lines at any print size. (A minimum size of 8 inches across is recommended for the best coloring experience.) You will need a PDF reader program or app such as Adobe Reader, Foxit Reader, or PDF-XChange Viewer (all free). I recommend using the software’s print option for “Fit to printer margins” and “automatically center” when printing on standard letter sized paper. This PDF download is for personal use only. 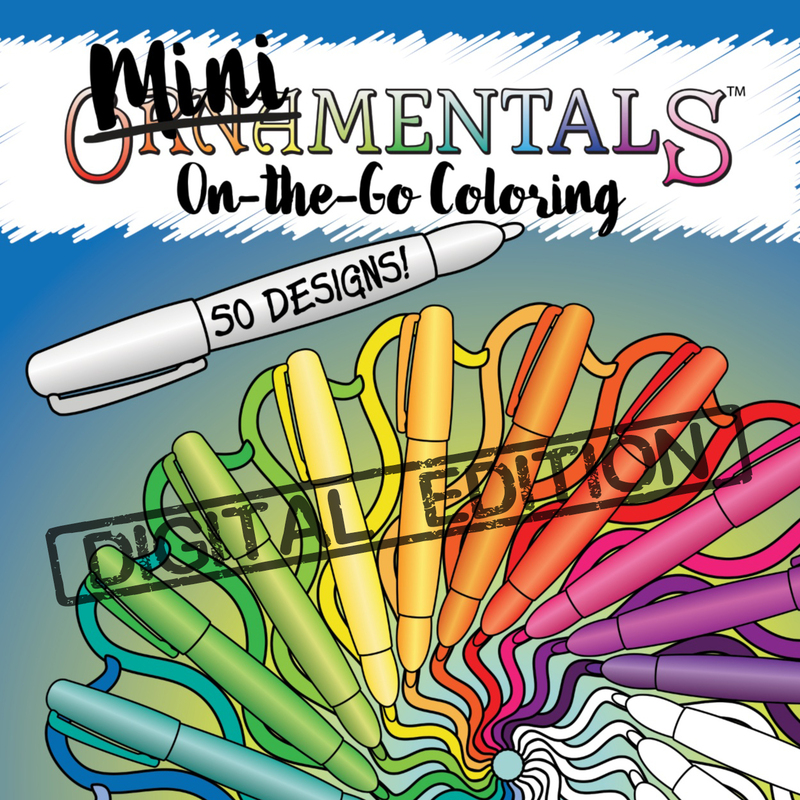 Please don't share the PDF or the printed pages without permission, except to print in small numbers to color with a friend or two. 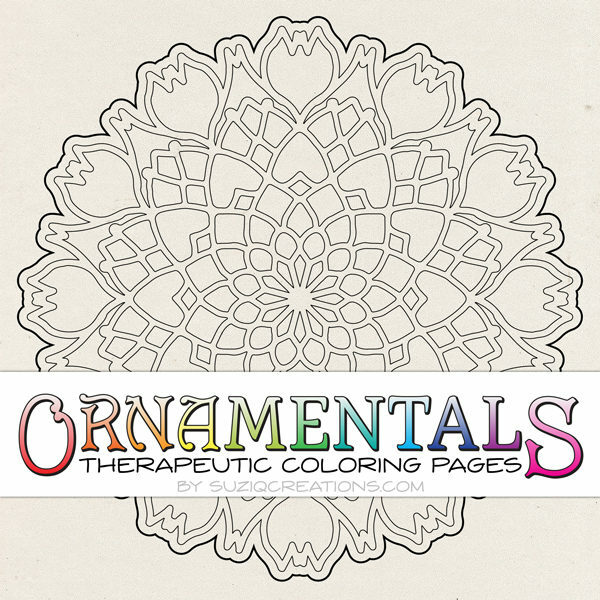 If you're hosting a coloring party you may share printed copies of these pages, but I ask that you distribute copies of the information page for your group attendees to take with them. Do not remove my branding or copyright notice. 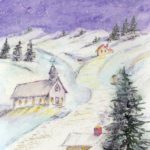 I never realized that I had so many different ways to indulge my desire to color. For years, I used children’s coloring books. Then I was given an adult designs book. The cost of the other books I have found in stores has been way out of my budget. Finding your site has brought such a HUGE smile to my face. Your designs are absolutely awesome. Your creativity has inspired me to try new things. Thank you so much! Thank YOU for taking the time to comment. Now you made me smile! Have a great day! Honestly, I must have died over the holidays cuz I think I am in heaven! You’ve taken all my favorite hobbies and interests and put them in one place. 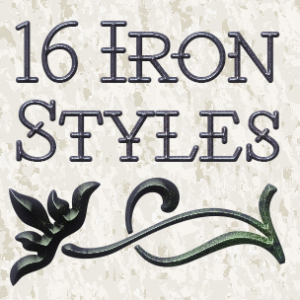 I had been looking for a wrought iron style for photo shop for a while. Yesterday I finally googled for one and this site was next to the top hit. When I clicked on the link for Susie, I was so distracted I almost forgot to check out the style! 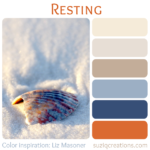 Suziqcreations looks so fun that I am taking it slow so I can prolong the fun. And the wrought iron style was absolutely perfect. Your comment made my day! So happy to hear you found what you were looking for–and more! Have fun! Thank you for the beautiful pages. Hi, Suze! I think I might have one or two of these, but, not all. They are so pretty! Thank you so much! I hope you have a wonderful holiday! Yes, two of the five were already offered free. Thank you, and have fun coloring! Merry Christmas!